Are you having a good scrappy month. I'm starting off better than I did in February so that is good. 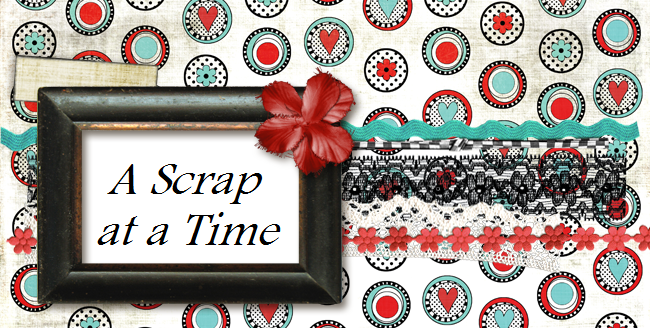 If you need a little inspiration come join us at My Scraps and More for our "Let's Lift It" challenges. That's right a whole month of lifts. I created this page for one of the challenges, a lift of a talented member Audrey. So come check out the fabulous inspiration to be lifted. I also created this LO for the color challenge at Scrap Whsipers to use these 3 colors on a LO. Great layout! I have an award for you on my blog. Stop by to check it out. I absolutely love this layout - I love all the extra zoo touches you gave it too like the ribbon etc. Great job! Thanks for playing Scrapwhispers! Love those colors! You did a great job with the lift. Great LO Tracy..love the colour palette!